The Pinnacle PRO vaporizer is the second generation of the Pinnacle units created by VaporBLUNT. This upgraded vape features five preset temperature options (improved from two) with colored lights to signal each different setting. 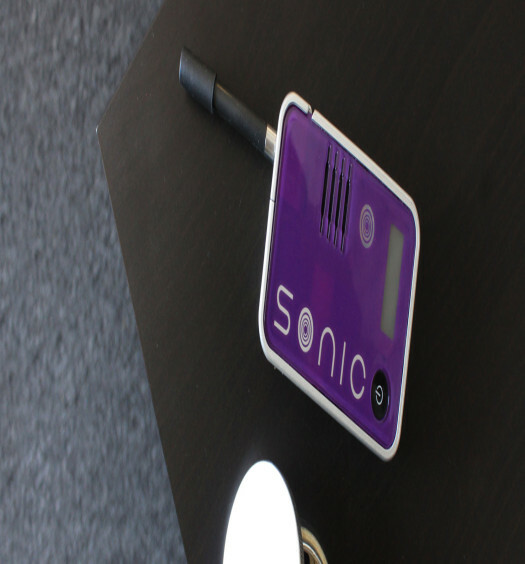 The Pinnacle PRO like its predecessor has a one touch button control that makes it easy to power up discreetly. It is constructed of high impact plastic so along with being discreet, it is also very durable. The bullet bowls from the first Pinnacle with the built in screen are still completely compatible with the PRO. The mouthpiece cover is no longer clear on the PRO, allowing it to appear rather clean even after extensive use. Certainly an improvement over the original Pinnacle, though it was not a bad vaporizer to begin with. WHAT TEMPERATURE SETTING SHOULD I USE? When using the Pinnacle PRO for dry herb, it is a good measure to stick with levels one through three. Starting at level one and working up from there during the process of vaporization will remove the most properties from the herb being used. Anything higher than that will be quite warm on the lips, as the air path is not very long. If it seems as though the vapor is almost too hot to inhale, try lowering it a temperature level for a cooler draw. So why even offer the two other settings? The higher temps are available for vaporizing concentrates with the included full metal jacket bullet. These do not have the screen on the bottom and are completely solid for holding concentrates within them. Simply load a little bit of a waxy style concentrate in the full metal jacket bowl and drop it down into the heating chamber. Level five works very well for vaporizing the thicker varieties. Just remember not to tip it upside down during or right after use, as this can cause the concentrate to drip onto the screen in the mouthpiece cover. The battery on the Pinnacle PRO lasts for roughly 45 to 60 minutes of operation. A nice feature on the PRO over the original is the battery level indicator that is built into the vaporizer. Simply press the button once and the lights will signal what level it is at; five lights being fully charged and one means it is nearly dead. This is convenient as it takes the guessing game out of when it is time to recharge. There is nothing worse than wanting to use a vaporizer and having to wait around while the battery charges back up. If the Pinnacle PRO is consistently used at one of the higher temperature levels, the battery life will be reduced to around 30 minutes or so. WHAT IS THE HYDROTUBE ATTACHMENT? This is definitely one of the coolest accessories offered for the Pinnacle PRO. The Hydrotube is a small water pipe that fixes to the top of the unit via an included adapter. It allows for the vapor to be filtered through a small amount of water, which cools it down significantly for taking larger inhalations. Just like when using a regular water pipe, remember not to exhale into the tube as it will force water down and into the unit. The Hydrotube will pretty much double the overall size of the Pinnacle PRO when connected, making it a little inconvenient for use out of the go. DOES THE PINNACLE PRO WORK WITH CONCENTRATES? 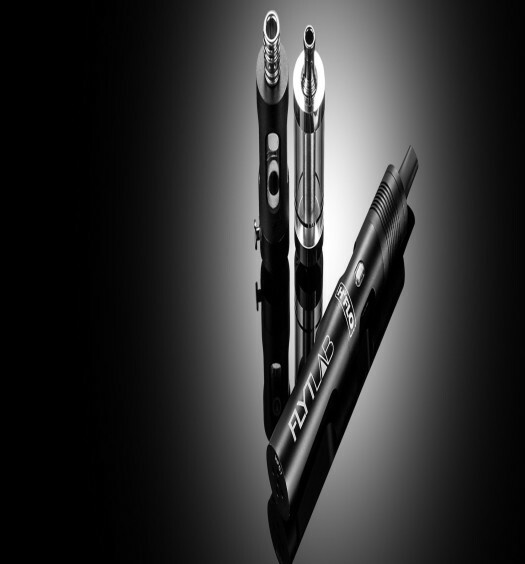 As stated above, the Pinnacle PRO unlike the original can vaporize concentrates. To do so, one most use the full metal jacket bowl that comes standard in the box. This completely contained metal bowl will hold the concentrate during vaporization without leaking. Set the PRO to either temp level four or five when vaporizing a concentrate, as one of the lower settings will produce little to no vapor. The bowl will get very hot during use and if one wants to add more concentrate during vaporization, it is a good method to load the bowl while it remains within the Pinnacle. If the bowl is going to be removed, make sure to wait a few minutes prior to grabbing it. HOW DO I CLEAN THE PINNACLE PRO? The Pinnacle PRO is one of the easier vaporizers to maintain, as the bullet bowl that holds the herb slides right out of the heating chamber. This means that the material is not being placed directly on the heat source, which can cause discoloration over time. Simply soak the bullet bowl in some isopropyl alcohol to remove any of the built up residue and it comes out brand new. This same method can be used for the full metal jacket bowl as well. Over time both style of bowls will need to be completely replaced along with the screen in the mouthpiece adapter. To keep the heating chamber clean, remove the bowl and brush it out after every use. When it comes to operating vaporizers, the Pinnacle PRO is certainly one of the easier models to use right out of the box. 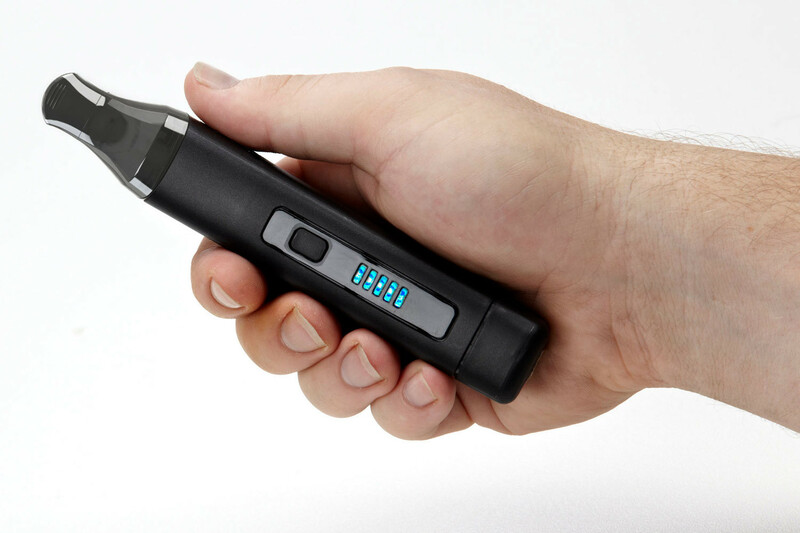 That does not mean there can be some difficulty when vaporizing with the Pinnacle PRO. One of the biggest issues people tend to experience is minimal vapor production. Now this can happen with any vaporizer and a lot will depend on the inhalation technique being used. The air path on this unit is rather short and clamping one’s mouthpiece tightly will further reduce the airflow. Instead hit the Pinnacle in the same fashion as puffing on the roach of a joint, allowing airflow around the mouthpiece. Another good tip is to pack the herb down into the bowl just slightly. This will cause the heat to pass through it just a little slower and create a thicker vapor. As with every vaporizer it is a call to play around with both the packing and inhalation when first getting going. The Pinnacle Pro is a decent portable vaporizer, but there’s better options out there nowadays. If this unit was priced bout $50 cheaper, it would be something I would recommend. However, poor durability and longevity make this unit average at best. If you’re interested in purchasing one, we recommend buying it through our preferred retailer. They will ship the Pinnacle Pro for free and throw in additional goodies as well. At one time, the Pinnacle Pro was one of the best portable vaporizers around. However, as other manufacturers continue to advance and push the boundary, the Pro has gotten left in the dust, so to speak. There’s way better options out there. Explore them.